Can you say "Fundies Down Undies?" 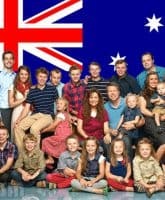 Wait, that didn't come out right... Perhaps I should eschew the catchy slogan and just announce: The Duggars are headed to Australia! Like, A LOT of them! 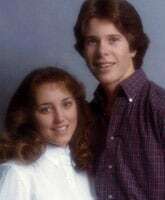 A recent photo posted by Jim Bob and Michelle Duggar has critics "SMDH" over some unprotected heads. Check out the image in question, read some of the blowback and let us know what you think. 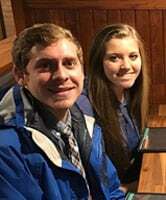 Joy-Anna Duggar, the 19-year-old daughter of Michelle and Jim Bob Duggar, officially announced her courtship with Austin Forsyth during last month's season finale of Counting On. 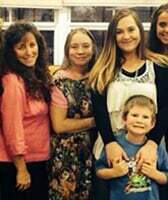 Recent photos from a hot double date with the 'rents would seem to indicate that things are getting pretty Duggar-serious for the young lovebirds! 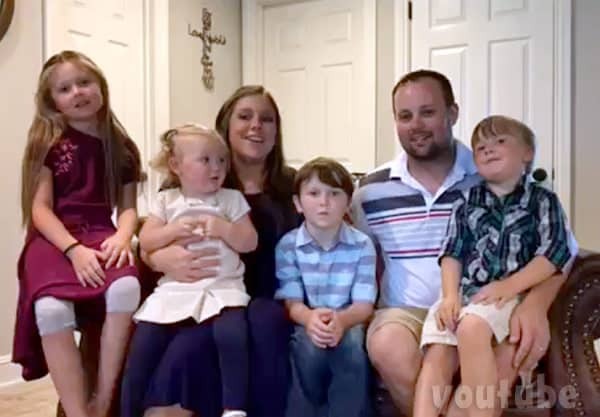 Court papers reveal that 19 Kids and Counting stars Jim Bob and Michelle Duggar have been granted permanent full custody of their 8-year-old great-nephew Tyler Wayne Hutchins. Find out how the boy ended up in their care and see a recent photo share of Tyler that stirred up some good old fashioned Duggar controversy. 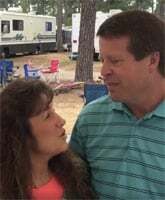 Jim Bob and Michelle Duggar react to this week's In Touch headline claiming they are splitting up over dealing with Josh's return by declaring "We are more in love today than when we married almost 32 years ago!" They also shared their marriage advice, so we can all achieve their level of relationship success. 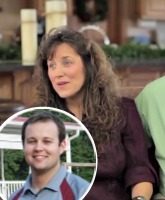 Jim Bob and Michelle Duggar sent Josh Duggar a public "happy birthday" message — with a sad twist. See what they said about their oldest son and what's the latest news on Josh's long term stay in treatment. 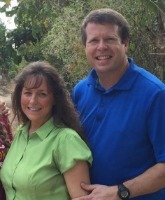 Jim Bob and Michelle Duggar are getting a little break from the winter weather with a "surprise" visit to daughter Jill Dillard and her family in Central America. But what about their dozen+ younger children who still live at home? Some people don't seem pleased with the Duggars decision to take a kids-free getaway.